A pretty oval tea pot stand, made at the New Hall factory, c1795-1810. 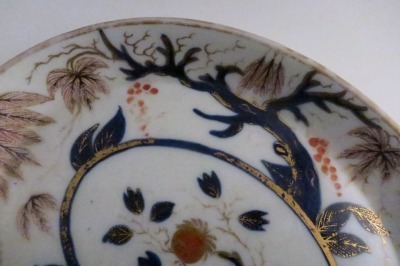 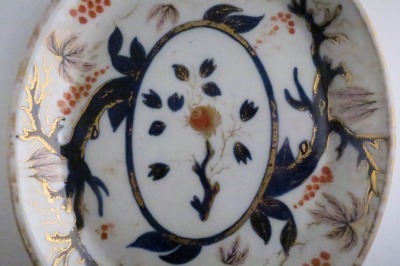 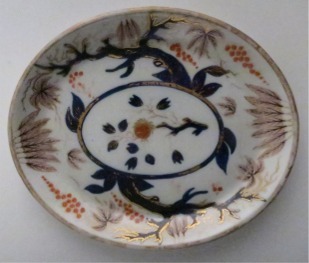 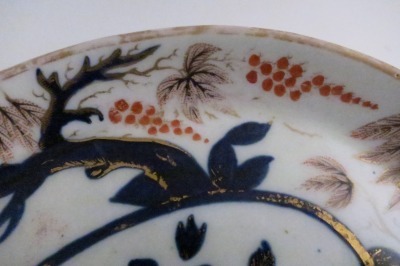 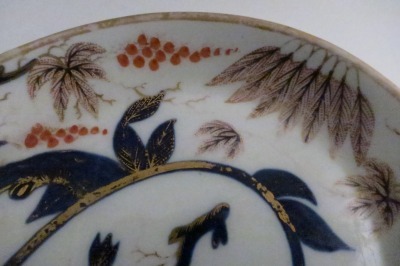 It is decorated with an 'Imari' design which is New Hall pattern number 446, as marked on the base of the stand. 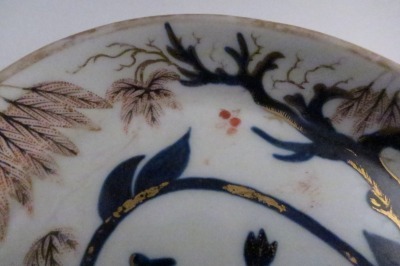 The tea pot stands decoration comprises underglaze blue stylised tree branches and leaves. 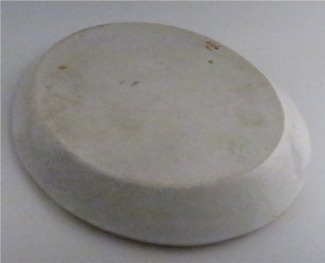 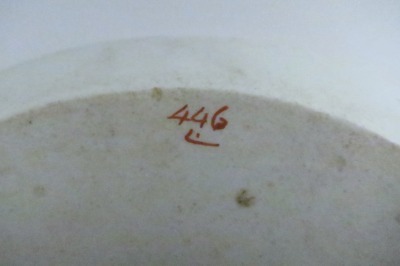 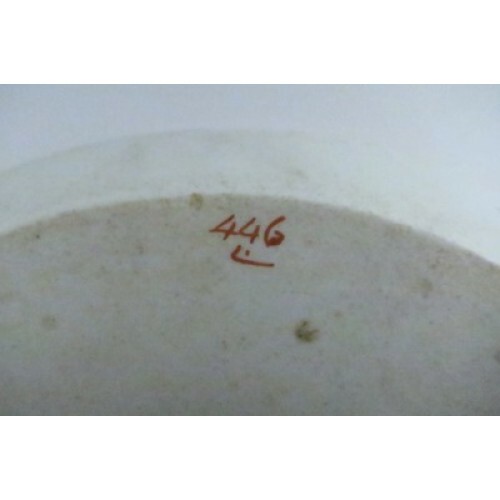 The tea pot stand is marked on the underside in orange with pattern '446'. 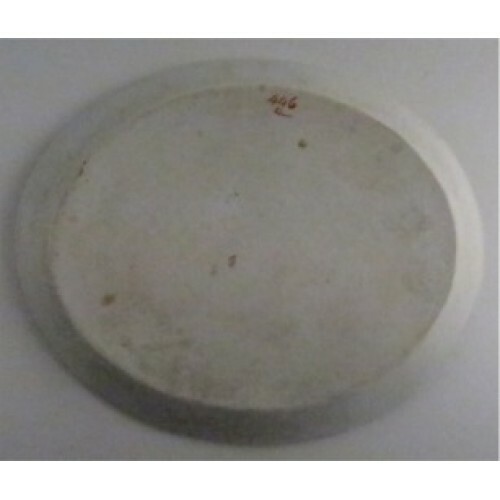 The teapot stand is in good condition with no chips, cracks, repairs or restoration. 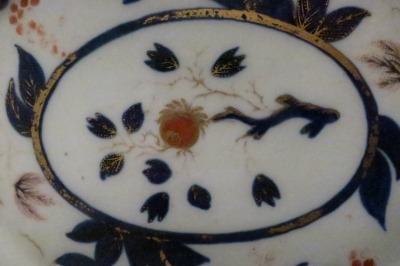 There is some wear to the gilded decoration as can be seen in the pictures. A pretty teapot stand for the collector of New Hall or early English tea wares. 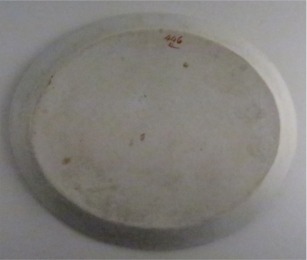 Condition (See main description for full details and pictures) The teapot stand is in good condition with no chips, cracks, repairs or restoration. 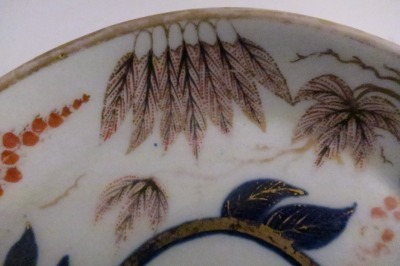 There is some wear to the gilded decoration as can be seen in the pictures in the main description. 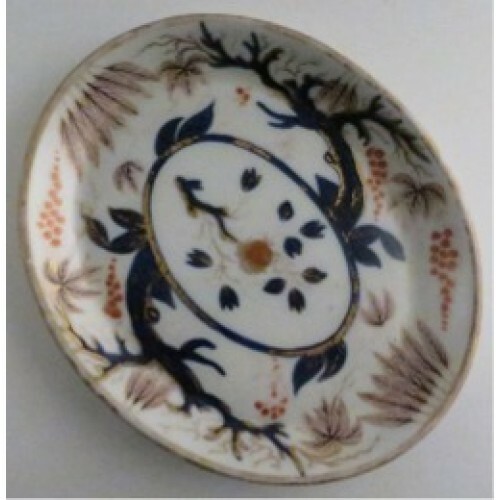 A pretty teapot stand for the collector of New Hall or early English tea wares.